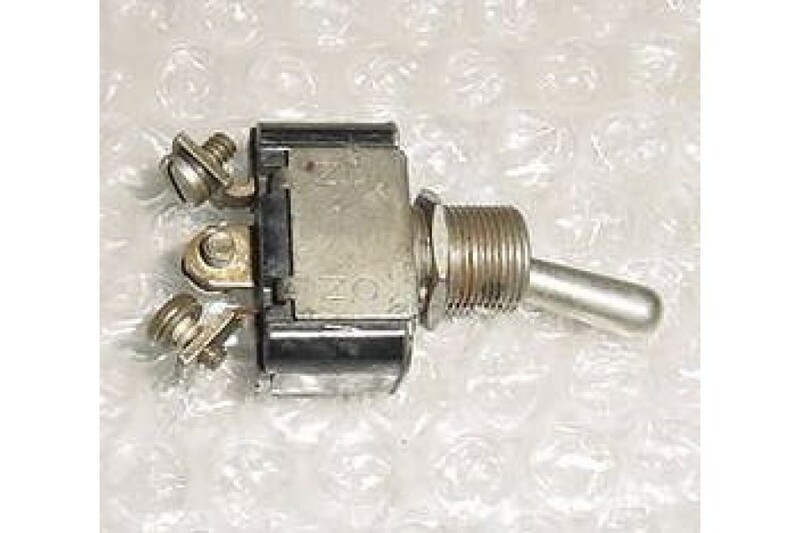 Two Position Aircraft Toggle Switch. P/N MS35058-23 or 58231. 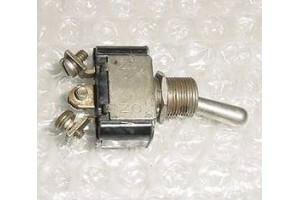 Two Position Aircraft Toggle Switch w/ three prongs. P/N MS35058-23 or 58231. NSN: 5930-00-655-1515. It is in good condition. Alternate P/Ns: 09N50N, 100465, 1019208-8, 1034-D700-23, 1107-105, 1157-0004, 11612, 11TS1-3, 11TS15+3, 122-10-4, 146-007-0005, 1560, 16-790-00-154, 228-1001P4, 228-1035P1, 228-1258P15, 23F201, 266-3067-00, 266-3067-000, 27-0035, 292343-000, 3007092, 35058DM, 352258901676, 395-199-007, 3Z9863-40D, 400004-15, 4186300-060, 4186300-60, 452-0017-003, 452-1341, 502683, 511-TSI-3, 511TS1-3, 511TS1-6742, 5120167, 5585734 PIECE 68, 559E33-2058, 614534, 689-207, 7582K6, 7582K7, 7586006P001, 76111-3-0013, 7655-160, 8-06907-5, 81083, 812031-0023, 8810K12, 8810K15, 8810K22, 8810K6, 8816K4, 8816K5, 8816K6, 8816K9, 8906K699, 902587, 927-0223A, 94575826, 973.52.17.103, 9999110, 9N50N, A7241, AN3021-3, CE216698, CH8810K12, CH8816K5, H6678-11, JHP39-706, JHP39-711-1, L-40-D, L00216, MIL-DTL-83731, MIL-S-83731, MS35058-15, MS35058-23, MS35058-4, RA1157-0004AA, ST40D, ST42D, ST840002-23, TIP00002.